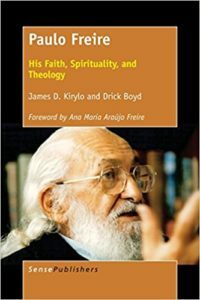 Co-author James Kirylo and I explore the Christian faith of Brazilian educator, Paulo Freire, best known for his critique of traditional “banking” education methods, and his development of critical pedagogy. He is also considered one of the founders of popular education, linking learning with concrete action for social and political change. However, little has been written about his personal faith. 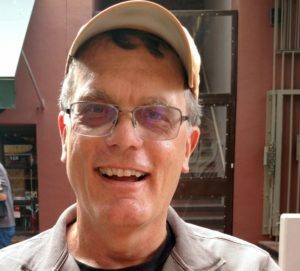 We explore the spiritual and theological implications behind his thinking, political action, and fundamental concepts such as conscientization, humanization, conversion to the people, utopia and the primacy of love. We also highlight Freire’s long time interaction with liberation theology and his difficult relationship with the Roman Catholic Church in Latin America. The book also contains a moving foreword by Freire’s wife, Ana Maria “Nita” Freire. For seasoned readers of Freire, this book presents a unique perspective on his life and work. For those unfamiliar with Freire, it is a good introduction to one of the seminal educational thinkers of our era.